Hours: Monday - Thursday 7:00 a.m. to 3:30 p.m. 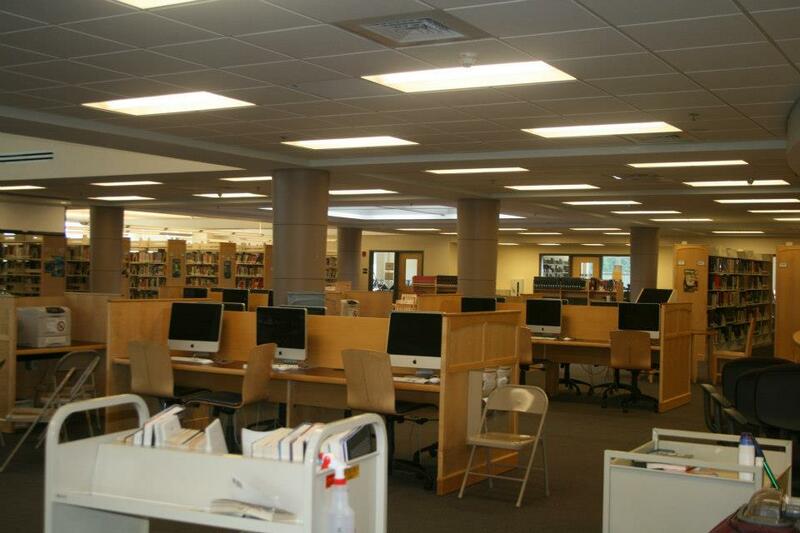 The Wachusett Regional High School Library Media Center provides students and staff access to materials and resources to meet their educational, professional, and personal needs. Our resources are tailored for the diverse experiences, skills, and abilities of our school community. Our goal is to help students become adroit lifelong users of information. The new Library Media Center facility opened in September 2006, and is home to two computer labs, a periodicals section, a professional reading room, and a large, open atrium space for reading, meeting, and class use. The monthly School Committee meetings are taped and broadcast live from the Library Media Center. The Library Media Center staff works cooperatively with classroom teachers to plan units of study that integrate 21st century information literacy skills with classroom curriculum. Our holdings are accessible through Destiny, our online catalog. We hold over 29,000 items including books, magazines, videos, DVDs, art prints, pamphlets, and audiobooks. Students must obtain a pass from a Library Media Center staff member or classroom teacher to visit the center. Students wishing to visit the library during long block must obtain a pass from the LMC staff either after school the day before the study, or before school the morning of the study. Students must adhere to the WRSD's Acceptable Use Policy when using a computer. At all times, computers may only be used for educational purposes. Food and drink are not permitted in the LMC, nor in the computer labs. Nutrition break snacks must be consumed before students arrive to the Library Media Center. A coin-operated copier is available for student use for $.10 per page. 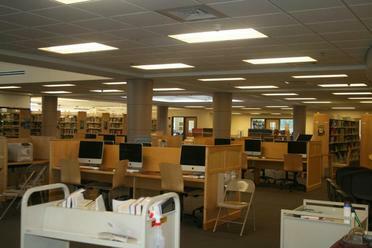 Students conducting research using books in the Library and/or Computer Labs have access to free copies during the classroom period. Copies made after school or for presentations must be copied at cost.